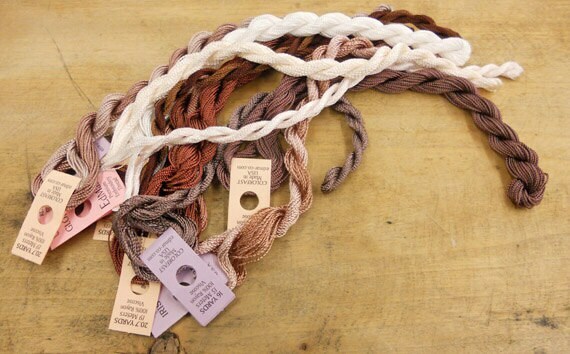 Coconut Mocha Thread Pack of 10 skeins of Edmar Thread. Coconut Mocha Thread Pack contains 10 skeins of thread of Edmar Thread. This grouping is exactly how it sounds...filled with shades of chocolate, cream, and white. Each pack is packaged in a plastic bag with a list of the skeins.